We have been reading ‘Leon And The Place Between’ as part of our literacy focus. What has been your favourite part of the story so far? I enjoyed it when Mrs Lockwood read Leon and the place between. My favourite part of the book was when Leon safely returned to the circus. 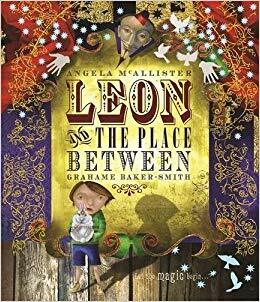 I really enjoyed the book and it was so cool when Mrs Lockwood put a piece of paper on fire and my favourite part of the book was when people kept asking Leon when he came out of the box how was it when he was in the mysterious and magical place he was in. I really liked it when Mrs Lockwood put a piece of paper on fire. My favourite part is when Leon goes in the box. I liked it because when Leon fell he landed on to a magic carpet. My favourite part was when he went into the box.